Transform CSV to XML data files online and for free! 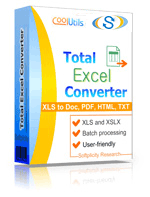 Use a CSV to XML Online Converter or buy a batch App for quick use! Description CSV is a plain text format used for representing database tables. Each data box (cell) is enclosed in commas. Each line is a table row with data cells. It is a perfect format for transporting tables from one application to another. CSV files can be edited in OpenOffice Calc, MS Excel and many others. Being a plain text in actual fact, CSV tables are compatible with various text editing programs. It doesn't support formatting, so any data structuring is made with the use of special characters.